Whether you are a first year student or a transfer student, the FVSU orientation program will be an important yet enjoyable experience. You will learn about your classes and campus life experiences, meet current students, staff, and faculty, and begin to build relationships that will last a lifetime. 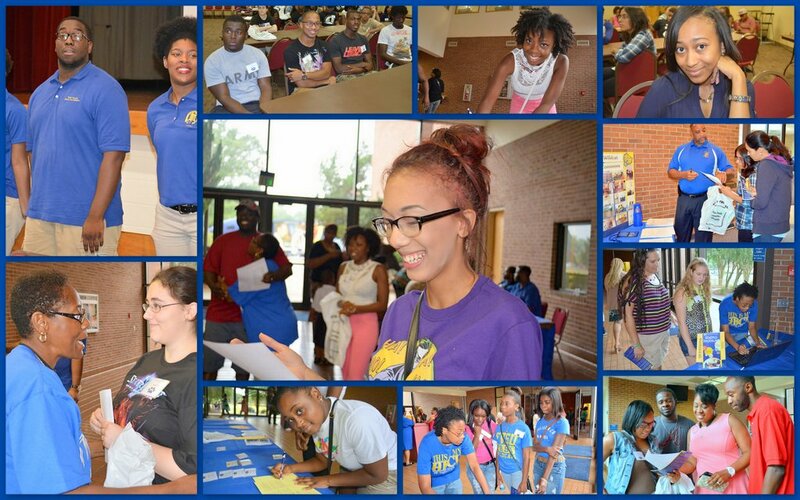 If you have any questions please contact us at orientation@fvsu.edu or by telephone at 478-825-6290. Students beginning classes May 2019 (Summer Session) register below. Students beginning classes August 2019 (Fall Session) scroll to the bottom of the page. Summer 2019 Orientation registration is now open. Click here. New Wildcat Orientation session for new students entering FVSU Summer 2019. You must be fully admitted (Eligible to Register) to FVSU before you can participate in your New Wildcat Orientation session. Please retrieve your Banner ID by visiting Banner Web. To reserve your seat at the New Wildcat Orientation, you must register using the form below. New Wildcat Orientation Sessions (Summer 2019). Students that attend an orientation session can expect a one on one approach for their enrollment experience. During your visit, future students will have the opportunity to visit the Wildcat Commons Residence Halls, meet with staff from Financial Aid, and meet with your academic advisor from the University College. Are you an online or distance education student and still need some help? Check out some of our eServices. Students that need to register for classes below 60 earned credit hours (freshmen and sophomore) can contact the University College at 478-822-1070. The center is located on the second floor of the Roycal C. Peabody Building located next to the Hunt Memorial Library. Students above 60 earned credit hours (juniors and seniors) will register within your academic department. For more information visit the University College website. For more information please visit the Office of Residential Life website. Wildcat Enrollment 101 session for new students entering FVSU Fall 2019 (August). You must be fully admitted (Eligible to Register) to FVSU before you can participate in your Wildcat Enrollment 101 session. To reserve your seat at the Wildcat Enrollment 101, you must register using the form below. New Wildcat Enrollment 101 Sessions (Freshman & Transfer).